The topic of race relations is coming to a major forefront in young adult literature. (Not that it hasn’t always been present, but new books have been getting major press about it in recent months). One such book is Dear Martin by Nic Stone. Wanting to see how this book handled the topic and also having read and blogged about Angie Thomas’ The Hate U Give in May 2017, I decided to see what direction Stone went. 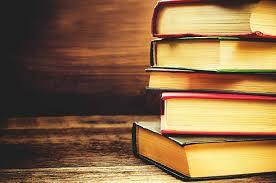 Let’s start by talking about this book. 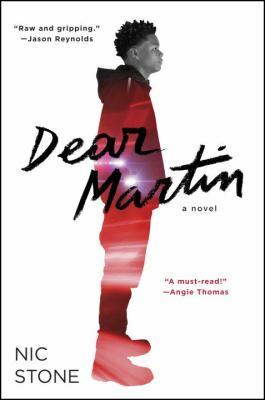 Dear Martin by Nic Stone dives into the sticky world of race relations in America. Justyce McAllister is college-bound, hopefully, and finds himself torn between where he grew up and the school he now attends. A slew of other factors influence him: the fact that he’s on the debate team, his family, his friends, his teachers, his on-again/off-again girlfriend. All those factors dig at Justyce as he works to try to figure out what exactly he wants to get out of his life and what he feels he is entitled to in this life. Justyce is seventeen years old, the age when kids are told that they have to know what they want to do for the rest of their life. Picking a college, picking friends, picking a significant other, picking who you hang out with and what you do on a daily basis all directly influence your choices. All of those factors also directly influence how other people see you. Struggling to deal with episodes of police brutality and racial profiling that directly affect him, Justyce decides to write letters to the late Dr. Martin Luther King Jr. as a way to try to figure out what Martin would do in his situation (Hence the title Dr. Martin, pretty self-explanatory). Justyce’s life seems to get worse and worse. No matter how he tries to better himself, there seems to always be someone bent on knocking him to the ground. Watching Justyce’s life unfold throughout his letters to Martin and through the snippets of his life that readers are privy to, we gain a better understanding of the rough dichotomy that Justyce finds himself in. He constantly is left to wonder where he actually fits in, who he should hang out with, and why his actions and people’s opinions of him seem to be at odds some days. I found myself rooting for Justyce throughout this book and hoping that his life would continue to get better. First thought after finishing Dear Martin? Oh man, I wish this book was longer. There is so much content jam-packed in this book that at times I was hoping for the author to expand just a little more. That said, this book was powerfully written and deals with tricky subjects in a way that the intended audience, young adults and kids in high school, would easily understand and relate to. Even though I was not the intended audience, I found myself deeply involved in this book and wondering how everything would turn out. I would recommend this book, but with the caveat that you read The Hate U Give, as well. The two fit so well together.